The Benedictine vow that most interested me was the vow of stability. I am a Franciscan Sister after all, a member of a mendicant order, subject to transfer as needed by the Church and the congregation. So the idea of "stability" intrigued me. "We enter here. We are formed here. We live out our lives here. We die here. ... And here we are buried." When asked "why?" Mother Mary Anne explained that it is the Benedictine version of "know yourself." When bound to one place with one community for life, you cannot run away from problems - they have to be faced and dealt with. St. Benedict wisely saw in his time the tendency of monks to move from place to place in search of happiness - when the reality is that we take ourselves (and our problems) along wherever we go. And so, the Benedictine nun learns to know herself, comes to grips with her weaknesses, works out her problems and learns to love, by commiting to stay put. The idea "bloom where you are planted" takes on a whole new gravity when you are so firmly planted. And the stability of the Benedictine home offers whole new vistas of charity as the Sisters learn to love one another and to extend that love to all those who come to them: the poor, the lonely, the hurting. Mothers in the spiritual world, they bring life to those who come by drawing from the deep sources of their stable home. During our visit to the monastery, we participated in the praying of the full monastic Liturgy of the Hours. All of the psalms were chanted at a reflective pace. 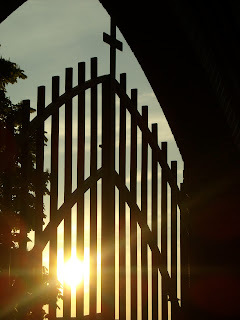 We prayed Vigils (Office of Readings) and, after breakfast, Lauds (Morning Prayer). Mass followed, celebrated by one of the Benedictine monks from nearby St. Vincent Archabbey at Latrobe. There was time for lectio divina and then we prayed Terce (midmorning prayer). We came together again at 11:45 for Sext (midday prayer) and None (midafternoon prayer). The community celebrated Vespers (Evening Prayer) at 5:00 and then we closed the day with Compline, well, it was supposed to be at 7:30, but because of various activities, we didn't get to the chapel until around 8:30. The Divine Office, or Liturgy of the Hours, is an incredibly ancient practice of the Church. Born from the command to "pray always and never lose heart," the Church has developed an intricate and lovely praise of God. Even now, the Liturgy of the Hours takes various forms in various rites and traditions in the Church, all of them harking back to traditions from the Apostles and their successors. In the beginning, all Christians followed a general rhythm of prayer: morning and evening, several times during the day and at midnight. We see this reflected in various accounts given in the Acts of the Apostles. But persecution kept it all under cover. After Constantine, it blossomed forth with all its strength, again, in various ways. The majority of Christians gathered around their bishops in the cathedral churches, praying at sunrise and at lamplighting in the evening (the service of light at the Easter Vigil descends from such usages). They would gather for vigils at night and, at times during the day. In these cathedral gatherings, external forms grew up: the use of light and incense and water, processions and gestures. The Office of the monks remained more simple. Striving to literally "pray always," much of the monastic prayer schedule was originally private. But monks together would pray and they would sometimes come together. But together or apart, they strove to give over their hearts, minds and attention to prayer throughout the day and the night. From such beginnings rose our contemporary Liturgy of the Hours. The monastic Office is more complex; that for the active Christian more simple, but it remains a prayer for all of us - a formal way to sanctify time: the Prayer of the Bride, the Church. Palm Sunday weekend, eleven of us made a pilgrimage to learn about Benedictine life. Bundling out of bed and into the chapel for Mass at 5:00 AM was a bit of a challenge, but by 5:40, we were on the road and on the way to an immersion in an ancient form of religious life. Our destination? St. Emma Benedictine Monastery in Greensburg, PA. The nuns there follow the Rule of St. Benedict and they taught us all about it. We participated in the monastic form of the Liturgy of the Hours: Vigils, Matins, Terce, Sext, None, Vespers and Compline, interspersed with conferences by Sister Mary Clare (the Vocation Director) and Mother Mary Anne (the Prioress). We learned about the life of St. Benedict, St. Walburga, the Benedictine way of work and the form of vows taken by Benedictine nuns. These vows are somewhat different than the "Chastity, Poverty and Obedience" so familiar to us all. Since the Benedictine form of life pre-dates such modern divisions, the vows these nuns take are Stability, Conversion to a Monastic Way of Life and Obedience. Mother Mary Anne delightfully explained them to us. We learned to braid palms, we laughed at convent tales, we participated in table reading and common monastic meals. The nuns graciously opened their house and their hearts to us. For those of you in the La Crosse area, Vocation Adoration continues throughout the summer months. Held at 7:00 PM on the first Monday of every month, faithful from the Diocese (and surrounding region) gather in the Crypt Chapel to adore the Lord Jesus, present in the Blessed Sacrament, and to ask, plead, beg... for holy and persevering vocations to Christian marriage, Diocesan priesthood, religious life, and vibrant single lay missionaries. The evening takes shape in prayer, song and silence as we pray the Lord of the Harvest for laborers. We finish the evening with a hymn to Our Blessed Mother - and then gather for ice cream and social time. Where two or three are gathered in my name, there am I in their midst. Our Lord promised that those who ask will receive. Join us to ask, seek and knock!!!! 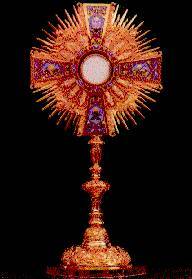 Retreats, Vocation Visits, Adoration and More! After a rather lengthy intermission, Come and See is back in action! We've spent the winter months giving and participating in retreats, visiting high school classrooms and, most recently, immersing ourselves in Benedictine life. Upcoming posts will give details of recent House of Formation activities, but we invite you to check out our Upcoming Events tab. 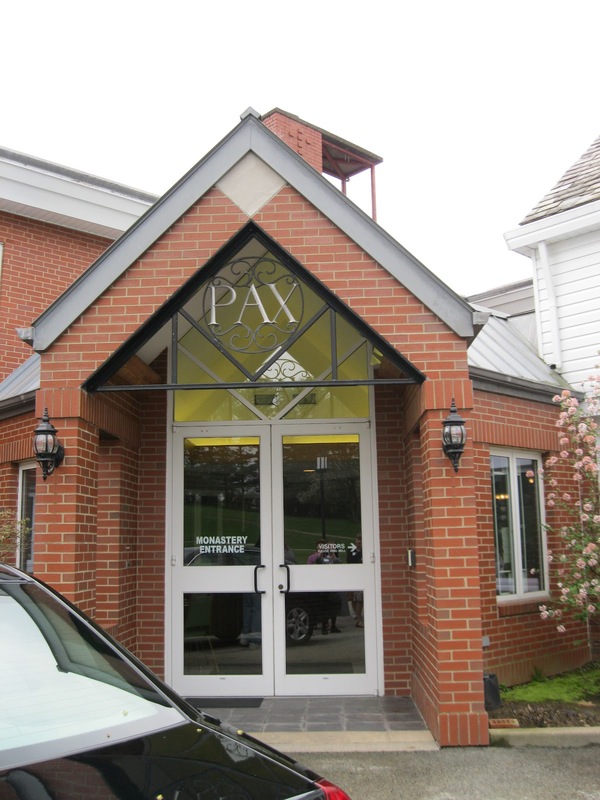 There are many retreats, activities and vocation visits slated for the summer and fall. Registration for each event will open as soon as all of the information is finalized, but we invite you to mark your calendar for the Summer and Fall activities!